This month’s Genre has been chosen by Kira of Film and TV 101 and it is Western Crossover Movies. 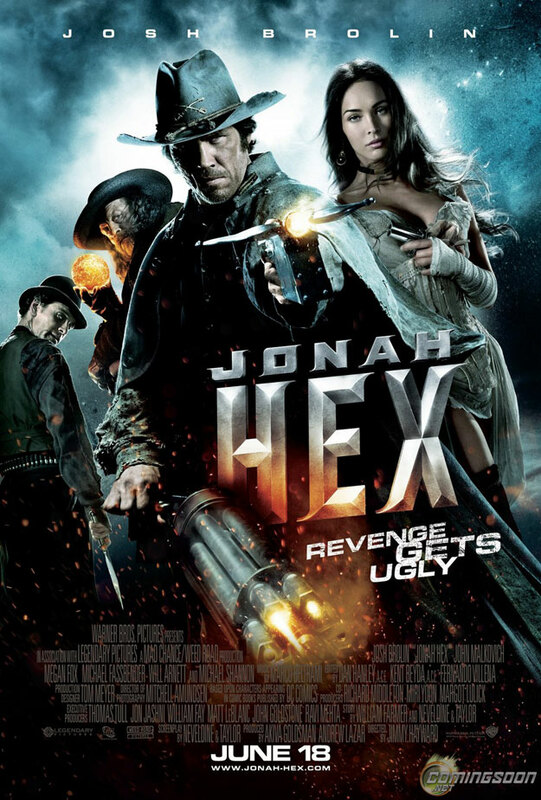 Brief Synopsis – A bounty hunter with special abilities is hired by the US Government to stop a former Confederate General hellbent on revenge against the Union. My Take on it – There has been a long history of movies based on comic book adaptations and a large majority of them just don’t do the original ideas justice. This film is high on that list because they do such a terrible job of adapting this character and storyline to film. The story itself is a pretty silly despite the fact that it would seem as if the idea is actually quite good. The execution just doesn’t work at all. What’s even more disappointing is the fact that the cast is superbly chosen but none of them are given good enough characters to portray or even interesting enough dialogue. Look at the cast and you will be as dumbfounded as I was because they are all pretty much wasted here: Josh Brolin, John Malkovich, Megan Foxx, Micheal Fassbender, Will Arnett and Michael Shannon…. The only character that stands out here is Aiden Quinn as President Grant and if you blink, you might miss his few short scenes. The way that they presented the supernatural aspects makes things a bit more interesting, but again, they don’t present it well enough with the way the story is being told which is another disappointment here to add to the long list of them. Bottom Line – Another terrible film adaptation of a comic book. The story itself is quite silly and despite seeming like a good idea, the premise just doesn’t work well at all. The cast is great with Brolin, Malkovich, Foxx, Fasbender, Arnett and Shannon all deserving much better characters to portray. Quinn is the sole standout among the cast as President Grant. The supernatural aspects are also a cool idea, but just not presented well enough here. Genre Grandeur Worthy? – Another terrible film. There’s nothing worth watching in this one and is far from being GG worthy.